We offer 4 luxurious en-suite rooms, all harmoniously and individually decorated to suit your needs. 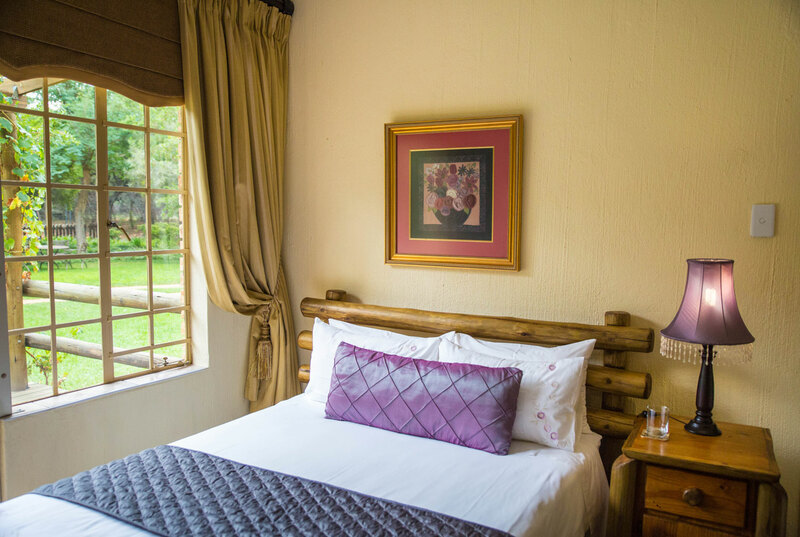 At the Award-winning 4-star BouBou Bed and Breakfast, a Guest house near Rustenburg in the North West Province, we offer four luxurious rooms as accommodation. 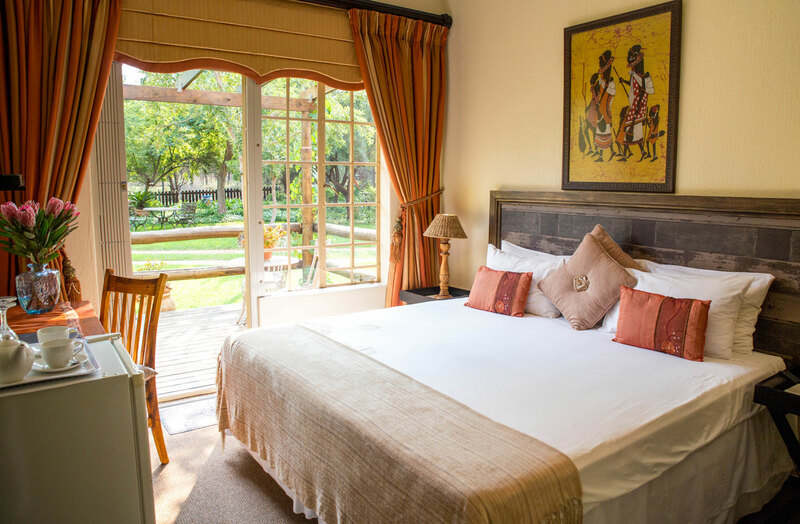 The Bed and Breakfast is located about 20 minutes drive from Rustenburg and offers a convenient location for exploring the attractions in the area, which include Sun City and the Pilanesberg National Park. Alternatively, if you are just looking for a weekend or romantic getaway, BouBou is ideal for that as well. Three of the bedrooms offer accommodation for two persons while the fourth can accommodate one person. 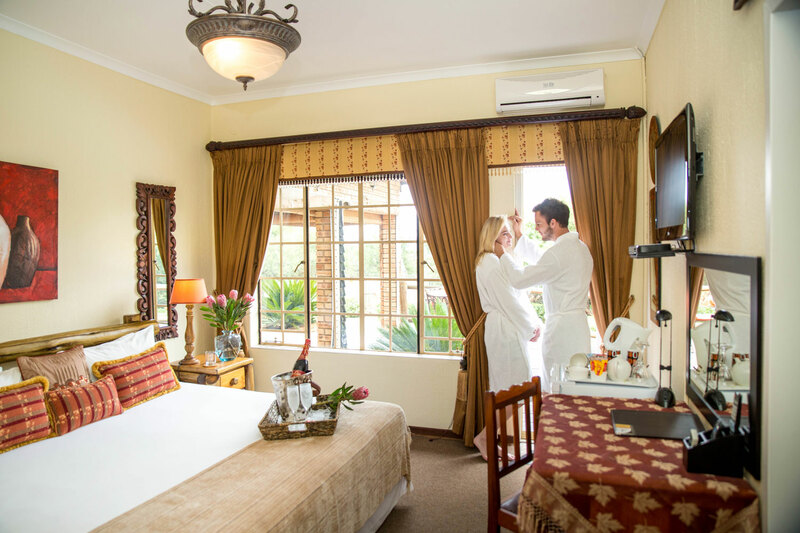 All rooms have en-suite bathrooms, while the most luxurious room offers access to a private bath spa / jacuzzi, shower and sauna. 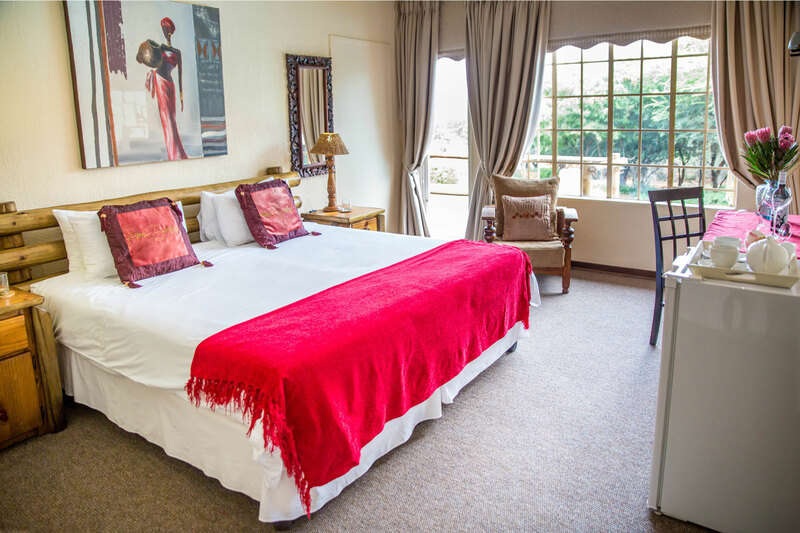 All rooms include use of the swimming pool, with airconditioning, DStv satellite TV as well as free internet access via WiFi. Breakfast is included in the accommodation cost, but Dinner is an optional extra which needs to be ordered separately.